Starbucks CEO Howard Schultz asks employees in D.C.-area stores to write 'Come Together' on coffee cups when serving customers. Starbucks is launching a political campaign this week it hopes will get the attention of Washington policymakers who have been unable to reach a deal to avert the fiscal cliff. In a letter to Starbucks employees made public on Wednesday, Chief Executive Howard Schultz asked employees at its approximately 120 D.C.-area stores to write "Come Together" on coffee cups when serving customers on Thursday and Friday. 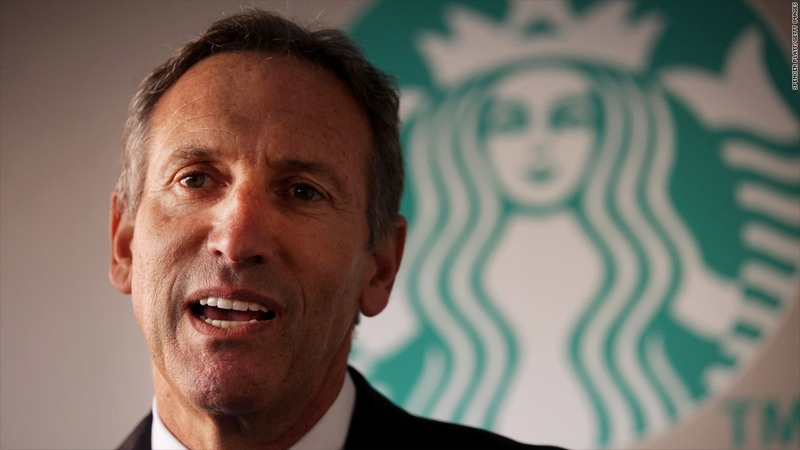 "Rather than be bystanders, you and your customers have an opportunity -- and I believe we all have a responsibility -- to send our elected officials a respectful but potent message, urging them to come together to find common ground," Schultz wrote. Schultz told CNN earlier this month that he believed the failure to reach a deal has created uncertainty among consumers and businesses and risks hurting the economy. "This single issue has a seismic effect on the rest of the world," he said. The Congressional Budget Office has said the fiscal cliff could lead to another U.S. recession. And policymakers and investors around the world have raised concerns about its impact on the global economy. Starbucks (SBUX) plans to buy ads in the Washington Post and New York Times later in the week as part of its "Come Together" campaign. 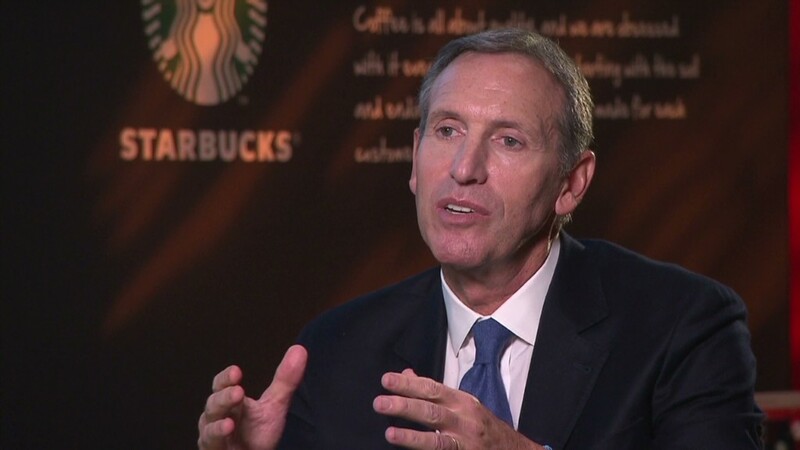 In his letter to Starbucks employees, Schultz cites the Fix the Debt group, which has been lobbying for a deal that would avoid the fiscal cliff and put the country on a path toward a sustainable federal budget. Fix the Debt, which has drawn the vocal participation of some high-profile CEOs, has been criticized by some on the left who say it overstates the risks of the fiscal cliff. The spokesman added that Schultz's request to write "Come Together" on coffee cups is voluntary and that employees are not required to participate if it makes them "uncomfortable." This is not the first time Schultz has called out Washington over political gridlock. Last year, after the debt ceiling fiasco led to the downgrade of the U.S. credit rating, he said he would stop giving political donations and called on other CEOs to join him.